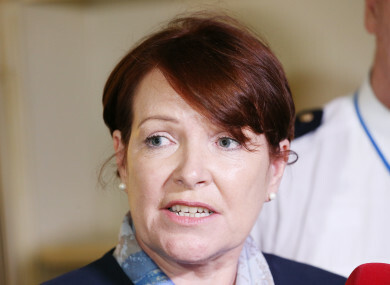 OPPOSITION LEADERS HAVE hit out at the Garda Commissioner Noírín O’Sullivan for taking a five-week break amidst yet another garda controversy. Yesterday, the Public Accounts Committee (PAC) published its report into the financial irregularities that have surfaced at the Garda Training College in Templemore. Labour leader Brendan Howlin said the timing of O’Sullivan taking her holidays was “strange”. “I think the optics are bad,” he told reporters at the MacGill Summer School in Glenties, Donegal, where there was a debate surrounding policing issues and trust in the gardaí. “To announce that you are taking a five-week break when a lot of things are ongoing, including the ongoing work of the PAC is strange, and probably not best advised,” said Howlin. He said he did not know why she has taken so many weeks off work, but said to do so during a time when the force is “under enormous scrutiny” was questionable. Meanwhile, Sinn Féin deputy leader Mary Lou McDonald reiterated that she believes O’Sullivan’s position as Garda Commissioner is not tenable. I think the optics of her being away for five weeks are awful. I have no knowledge as to why she has such an extended absence, I think that has to be explained. McDonald said her party has not yet taken a decision as to whether it will table another motion of no confidence in the commissioner, but said discussions would take place over the summer before the Dáil resumes in September. Hitting out at Fianna Fáil, she said the party was playing “dangerous politics” by allowing the commissioner “stagger on”. “Now is a moment for Leo Varadkar to show us does he have leadership, can he make a decisive call or is he just busy playing footsy with Fianna Fáil,” she concluded. Email “'The optics are bad': Criticism levelled at Garda Commissioner for taking five-week holiday”. Feedback on “'The optics are bad': Criticism levelled at Garda Commissioner for taking five-week holiday”.